Eugene W. Peifer, 86, of Mountville, passed away on Sunday, February 11, 2018, at Susquehanna Valley Nursing and Rehab Center. Born in Manheim Township, he was the son of the late Martin and Mary Witmer Peifer. He was the husband of Judy (Downing) Peifer. They were married for 35 years. 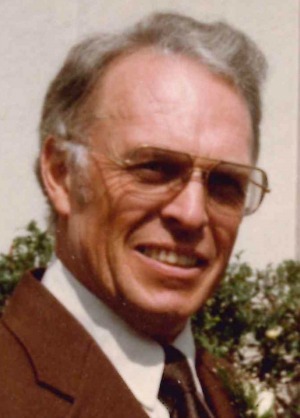 Gene retired from Lancaster Laboratories in 1999. Previously he worked at Richard Ford, Ephrata Cycle, and was in the Real Estate business for 20 years. He also served in 1-W service as a youth counselor in Washington, DC. He enjoyed bowling, motorcycles, traveling, nature, and all sports. He attended LCBC Church in Manheim. In addition to his wife, he is survived by 5 children: Doug (Tammy) Peifer, Ephrata, Greg (Michelle) Peifer, Concord, NC, Diane (Jim) Morey, Savannah, GA, Rodney (Margaret) Peifer, Lutz, FL, and Ann (Jim) Gollub, Mohnton, a sister, Arlene Walter, British Columbia, Canada, and a brother, Martin Peifer, Lititz. Also surviving are 10 grandchildren and 5 great-grandchildren. He was preceded in death by a sister, Erma Schwebbach. In keeping with Gene’s wishes, there will be no funeral services. Memorial contributions may be made to Hospice & Community Care, P. O. Box 4125, Lancaster, Pa 17604. I am sorry for your loss of Eugene. May you find comfort I need the promise recorded for us at Isaiah 25:8 where it says “He will swallow up death forever, and the Sovereign Lord Jehovah will wipe away the tears from all faces.” All the best wishes for your family at this time, take care. With deepest sympathy. So glad I got to know both of you. May you feel Jesus’ loving arms holding you through this difficult time. I’m so sorry for your loss. Pray God will comfort you.